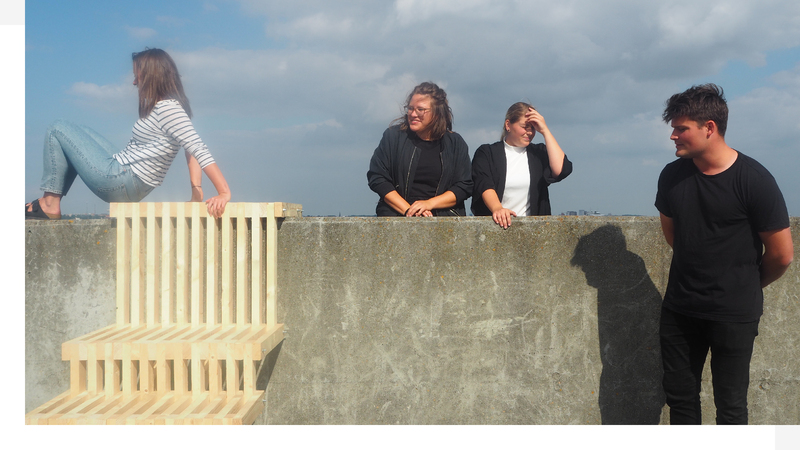 Catch and Copenhagen University will collaborate through the course Urban Intervention Studio 2018: Space & Interface – cultures, heritage and innovation at the Elsinore Waterfront. 26 students will work on installations for the public space in spring 2018. The Elsinore waterfront features strong historic references, but as the more recent facilities indicate, a rethinking and transformation of the harbour site and its cultures is undergoing, too. The ‘culture yard’ is an active and dynamic environment. Catch, a creative and innovation focused centre for education within art & technology is situated here, the modern library is highly recognized and lots of cultural events activate the site. The annual festival Click Festival has emerged in the area centered around contemporary art, science and technology. In addition, the traditionally conservative setting of the historic castle is thought to be updated and new initiatives welcomed with for instance a new artist hub of Kronværksbyen.But how can these different cultures of both tradition and innovation be combined and fuel each other in interesting and fruitful ways? Can the transformation and potential of the cultural layers be more strongly explored and communicated in the spatial setting? While ambitions to challenge and use the spaces in new ways are present, many of the existing and emerging outdoor spaces around the castle and the harbour have still not been fully explored. What kind of meeting spaces, interactions and experiences could be developed? How can urban interventions support the phenomenological experience of the landscape and its past and present futures? The area reveals interesting dilemmas and potentials in terms of intervening in a heritage site in transformation.ThemeThe theme of the Urban Intervention Studio this year is SPACE & INTERFACE. A spatial interaction can be achieved through various tools and methods that we use to design spaces and to set up a dialogue with the surroundings. An interface can cause friction, balance, overlays, synergies, impulses - and many more things in the way it resonates with the existing context. An interface creates relation between phenomenas and experiences. It is dynamic and relates to our understanding and creation of physical surroundings and human interaction. We will use it as an open-ended vehicle for exploring, conceiving and affecting our spatial surroundings.In the course, we support the use of a wide range of materials and media to create relations in space. This year’s collaboration with Catch and Idemo Lab offers us the possibility to work with some additional electronic and digital tools, e.g. lightning and ,”energy harvesting” and 3D printing. We aim to explore different kinesthetic and sensorial aspects, but also support the use of more traditional crafts and production methods.